India has a special way of organizing its cities, provinces, and territories. Delhi is India's capital territory which includes 7 different cities, and within the territory is New Delhi, the India's capital city. Delhi is a huge metropolitan area on the North side of India. After Mumbai, Delhi is the second city that has the most billionaires and millionaires in India. All the cities within this territory, especially New Delhi has been expanding and developing non-stop to become modern metropolitans. Yet, on the other hand, like the old Rome, the ancient capital of India is filled with historical artifacts, architectures and the relics of lost empires throughout history. Many of the ancient sights in Delhi will take your breath away. From the Mehrauli Archaeological Park to the Red Fort of the Jama Masjid, each of these impressive architecture structures will tell a different story of how this land has gone through multiple dynasties, empires, and kingdoms to be what it is today. Besides sightseeings, Indian cuisine is also something that cannot be taken lightly when visiting the country. Indian cuisine is world famous. So you can expect the best food when you are in the capital area of the country. The curry that comes in many different flavors and choices will expand your knowledge of how authentic Indian curry should be. Colorful, bold and flavorful, the Indian cuisine reflects the beautiful culture of its country well. Visiting Delhi, you will need to do more than just checking off lists of famous tourist attractions on your list. You should walk around the city, try the place delicacies or street food and feel the lively beat of life among the people to fully appreciate the beauty of the place. 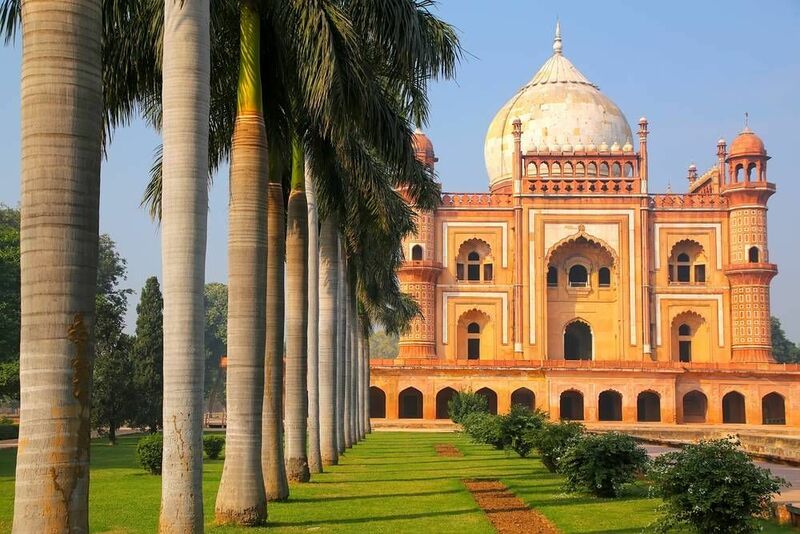 One of the best ways to explore Delhi would be taking a free walking tour so you can have a general sense of the place and understand more about the people's history and culture. Here are a few popular free walking tour choices in Delhi. If you are a foodie then this tour is for you. This tour is a perfect introduction to food of Delhi. Old Delhi is the best place in all North side of India to find food from many famous, local favorite places. You will move from one market to another to try them all. The tour itself is free yet you have to pay to taste the food yourself. The tour does not offer free food to taste but only give you introduction and recommendation of the food. The prices of food in this tour are all very affordable. Besides the Food Walk, the Free Day Tour company also offers a few other free walking tour options for tourists with different interests. You can check out their websites for more information. Are you from Delhi and want to be a tour guide? Please get in touch by submitting your details on this page!